MATT TAYLOR ORDERS THE IMMEDIATE ARREST OF DAVID CAMERON & THE QUEEN..
Qld Housing Commission Units go to such needy fellows with couple of offspring. A major review was announced last night into the Liverpool Care Pathway, the controversial ‘end of life’ treatment regime. The Association for Palliative Medicine, which represents 1,000 doctors who work in hospices and specialist hospital wards, will ‘identify and explore concerns’ over the system of caring for patients in their final days. The Mail has highlighted the growing fears of patients’ relatives and many doctors that the care pathway is really a way of hastening the deaths of terminally ill patients. 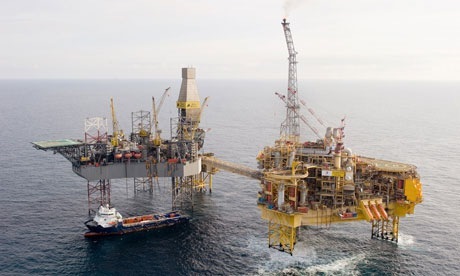 Tuesday, 26 June 2012 North Sea Gas Leak On March 25, 2012, crewmembers on the French oil company Total’s Elgin drilling platform noticed that something was amiss. One of the wells at the site had been plugged in 2011, but for unknown reasons natural gas had begun to spew out of the wellhead. Soon, about 200,000 cubic meters (7 million cubic feet) of gas was escaping into the North Sea, about 150 miles off the coast of Aberdeen, Scotland, on a daily basis.1 The platform was quickly enveloped in a cloud of natural gas, causing the 300-plus workers aboard the platform to evacuate, and additional nearby platforms to evacuate or temporarily shut down operations.2 According to a Total spokesperson, the six-mile sheen of oil in the ocean surrounding the platform “will evaporate,” and is not believed to be “a major threat to the environment.”3As the company begins to get the leak under control, environmentalists are keeping a close watch on the North Sea ecosystems to monitor any possible environmental consequences of the spill. Although the cause of the Total gas leak has not yet been discovered, it is believed that natural gas entered the casing of a plugged well from another, non-producing reservoir four kilometers underground. Natural gas then travelled up the well pipe to the surface, where it began to leak out. By mid-April the gas company’s methods successfully cut the amount of gas streaming from below the platform by two thirds.9As the construction of the relief wells continues, Total should be able to stop the flow of gas completely. At that time the company will determine whether or not to reopen operations at the Elgin site, or to abandon the platform completely. Even if the environmental damage caused by the Total natural gas leak is negligible, this event is an important reminder of our dependence on fossil fuels and the dangers that this dependence constantly poses. Britain could be facing as much as a 6 percent cut to gas supplies this summer due to the closure of the Elgin and two neighboring gas fields, National Grid said on Tuesday.19 Perhaps this is a good time to make the best of a bad situation by accelerating the transition to renewable resources . Current sea ice levels are at least 47% lower than they were in 1979. You can now find out how the electricity that you pay for is generated and make an informed choice about whether to buy nuclear power, renewable energy, or electricity from coal or gas power stations. Find out what types of electricity generation you are supporting. — for UK residents..
the gas that comes from under the sea is …. methane. A new source of methane – a greenhouse gas many times more powerful than carbon dioxide – has been identified by scientists flying over areas in the Arctic where the sea ice has melted.